Wow, it's been a while! Sorry for the silence of late, if you follow me on Instagram you might already know what's been keeping me so busy (aside from Pokemon Go). For the past 30 days, I have been doing the Insanity workout plan. I'm sure most people have at least heard of Insanity before, but just in case you've been living under a rock, I'll break it down for ya. Insanity is 60 days of high intensity, max interval cardio and bodyweight only workouts, varying in length between 30 - 60(ish) minutes, six days a week. The programme is designed and fronted by a super amazing, inspiring trainer called Shaun T (who we all love to hate a little bit because he is BANANAS). I had already been working out with FitnessBlender and followed one of their 8 week fat loss plans, but I felt I wanted to step things up a notch before my holidays at the end of August. I'd seen friends get amazing results with Insanity, so I signed up for a free 30 day trial at Beachbody on Demand (this isn't sponsored by the way, it's genuinely how I watch the videos). Now I've reached the midway point, I thought I'd come and share some tips, advice and general observations which I have garnered over the first half of Insanity. 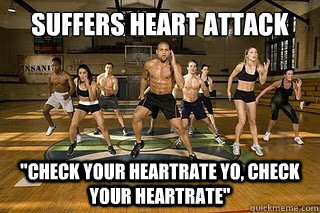 How we all feel watching Tania busting out those double leg raises while we curl in a ball and die. One of the biggest things I've learned is that consistency is key. I look at the workout on my Insanity calendar as a work meeting or appointment - it isn't optional. I often thought I didn't have time to work out alongside a full time job, a pup that needs his evening walk and dinner that needs to be made - I was wrong. So far, my workouts have averaged at around 40 minutes - that is 2.77% of a day! Who can't spare less than 3% of their day to look after their health and get stronger, fitter and happier? 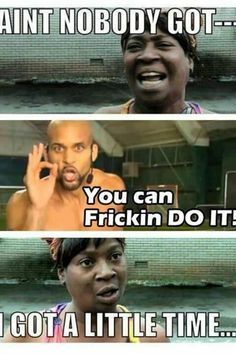 I know I can. Consistency is also important when it comes to eating right. I have been following the FitnessBlender 4 week vegan meal plan so far, with today being my first day of the 21 Day Fix. Eating well consistently is key if you're going to see the results you want - all of the Insanity workouts in the world won't outsweat a diet of pizza and chips. I'll say it again: Insanity is hard. If you don't watch your form, you can very easily injure yourself. I have been suffering with sore ankles this past week, and after a quick Google, realised the shoes I was wearing were way too padded for Insanity training and that it's best to wear shoes designed for Crossfit. I picked up these Nike Free trainers from JD Sports and my ankle feels much more supported and stable during the plyometric moves, I'm hoping it starts to improve soon. I also invested in these Lonsdale floor guards which protect my carpet and give me a more stable platform to move around on. I also swear by the Workout Wonder by Mio which totally saves my achy, sore muscles and allows me to get in to a workout where I might have complained and shrugged it off beforehand. It's seriously good stuff. 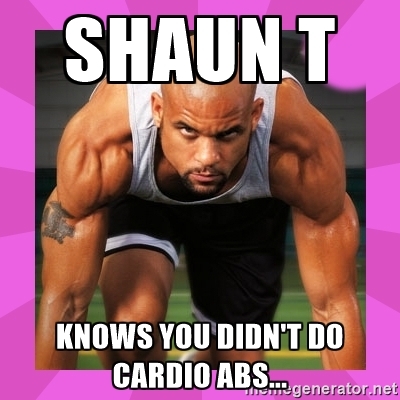 Also make sure you use a heart rate monitor or fitness band with HR capabilities and KEEP CHECKING YOUR HEART RATE which Shaun T will constantly remind you of. If you're doing everything right, your body is going to start to change. 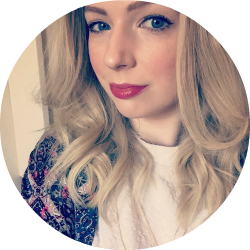 In the last 30 days I have dropped from a size 12 to a size 10, so I treat myself to some new Topshop jeans - the feeling of buttoning up those jeans was better than any cupcake! You're showing up every day and putting your body through a really rough ride - reward yourself for your hard work and you're more likely to stick with it. ...and he saw you eat those Jammy Dodgers. It's easier for me to stick to my eating and workout plans if other people know I have them. I feel too guilty to cheat! My Fitbit has been one of the best things I've purchased as I am totally addicted to seeing the green flashy lights that pop up on the app when I hit my goals, and I can also see how my friends are doing and try to beat them! If you want you can follow me in the following 'fitness friendly' places and lets help keep each other motivated! Today was my first day on the 21 Day Fix eating plan which I'm going to be completing over the next (yep, you guessed it) three weeks alongside Insanity, rather than the scheduled workouts which come with the 21 Day Fix plan. I'll try and remember to post pictures of all of my meals on my Instagram account so follow me if you're interested to see what's allowed on the plan. Here's my 21 Day Fix vegan meal plan for the next week. If you're interested in starting the plan, your allowance will be different depending upon your start weight and personal goals, so check out the 21 Day Fix website to see if you think it could work for you! If anyone wants recipes for the meals below, leave a comment and I'll do a full meal plan post! If you have any tips for health or fitness, I'd love to hear them! 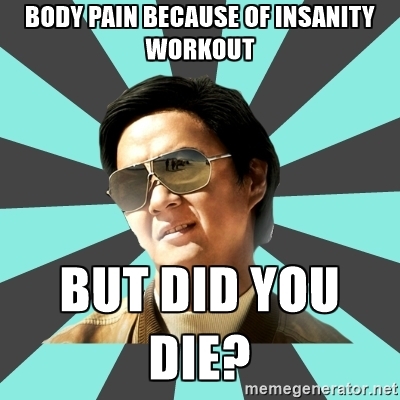 Any fellow Insanity lovers out there?